Johnson Matthey was one of the major silver refineries worldwide, however, recently their refinery business was sold to Asahi. Therefore, either bar may be supplied. 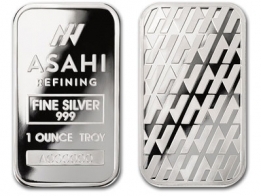 Each bar contains the Johnson Matthey or Asahi logo at the top, with the bars weight and fineness located below. 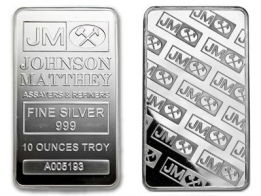 These bars are very popular with silver investors looking to buy larger amounts of silver, due to their low premiums. 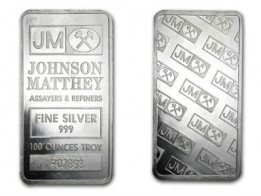 These bars are being offered as wholesale, low premium silver bars for precious metal investors who are looking to place larger amounts of money into silver bars. These bars are available VAT-free if stored in our Swiss vaults. 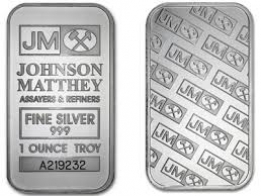 Please contact us to sell Johnson Matthey or Asahi silver bars.